About - Michael Bader, D.M.H. 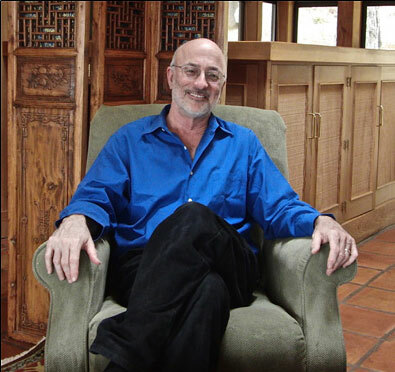 Dr. Michael Bader is a psychologist and psychoanalyst with over 30 years of clinical experience. He received a Doctor of Mental Health degree (D.M.H.) at the University of California, San Francisco, in 1980, and became licensed as a Clinical Psychologist in January 1984. He currently combines a private psychotherapy practice and executive coaching, with writing about psychology and politics. Dr. Bader has written extensively for both academic and popular audiences. His primary intellectual interests are in exploring the intersection of psychology, culture, and politics. He has written over 50 articles for popular magazines, both print and on-line, including The Huffington Post, Alternet, and Tikkun Magazine. In these, he analyses vital political controversies and struggles using the wisdom and insights gained in his long clinical career. His arguments—and his theoretical agenda—usually involve weaving together a sophisticated understanding of politics and history with a psychological approach that appreciates the importance of unconscious desires and conflicts. His current interests include (1) studying how a broader and more nuanced understanding of human motivation can revitalize and animate progressive organizations and significantly improve their success in engaging large numbers of people in a movement for social change, (2) analyzing the strategies through which right-wing media trigger and exploit our psychological conflicts, frustrations, and fears–including our sexual longings and fears–to move their own agenda, (3) using deep psychodynamic insights to study why people psychologically suffer and get in their own way, and, (4) understanding how the processes through which people change and grow can be translated into forms useful to progressives, both in terms of better understanding the world and changing themselves. Dr. Bader’s lifelong interest in integrating psychology and politics was most recently grounded in his work with the Institute4Change. Established in 2003, the I4C was initially based within the largest and fastest growing labor union in the country, the Service Employees International Union (SEIU). Its aim was to help local unions grow, inspire, and deepen their relationships with members. Dr Bader and I4C believed that change required bringing together insights and expertise from multiple disciplines and, as such, recruited a distinguished faculty of practitioners and academics from the worlds of community organizing, psychology, theater, organizational development, executive leadership, and politics. As part of his work with the I4C, he founded a nationwide coaching program for union leaders. Dr. Bader currently resides in Grass Valley, California.